Pear Tree Greetings is an online retailer of Greetings Cards and Gifts, based out of North Mankato, Minnesota, United States. The privately held company is an online only store that sells both stock designs and your own personalized cards and prints. 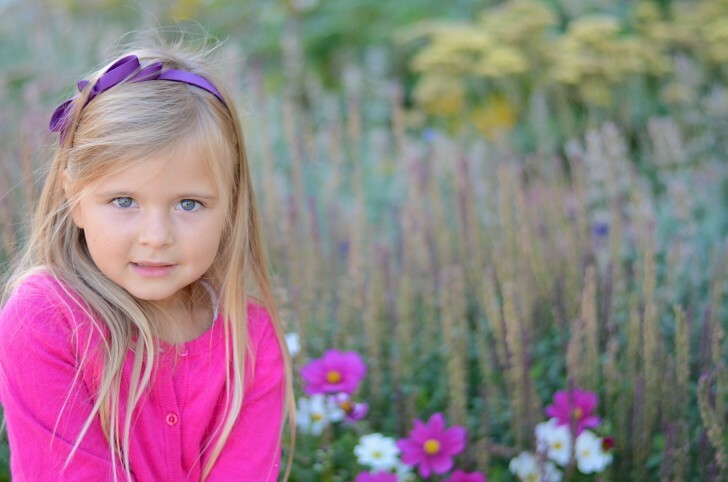 They allow you to upload your own photos and choose from a number of print formats, color and design options. The business was founded in 2006 and can be found at PearTreeGreetings.com. Data suggests they make between $500,000 and $1 million in yearly revenue. The company also has a number of sister websites, including Invitations By Dawn and Ann's Bridal Bargains. What's good about the site is the amount of offers and deals available, which you can redeem with Pear Tree Greetings coupons. We keep an up to date list of these here at Coupofy, so be sure to check back before ordering to make savings. Pear Tree's range of cards and gifts are arranged in to several easy to browse categories and you can also use the search bar if you know what you're looking for. They cover events such as Holidays, Birthdays, Weddings, Graduation, Event Invitations, Announcements, Baby Showers, and many others. Products include Greetings Cards, Wall Art, Notepads, Posters, Small Ornaments, Book Covers, Banners & Buntings, Flags, Napkins, Name Tags, Table Decor, Stationery, and much more. Many of these items can be customized with your or message, name or design elements. Depending on the deals at the time a Pear Tree Greetings coupon code might get you discounts on any of these items or specific items only. If you would like to turn your shopping experience in to a money maker you can also sign up to their affiliate program that gives you $20 for every person you refer who spends over $20. Pear Tree Greetings only accepts payment in the form of credit cards, including Visa, Discover, American Express, and Mastercard. 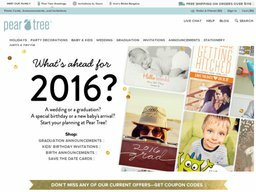 Prior to online payment you will see a promo box where you can enter any Pear Tree Greetings coupon code. Pear Tree Greetings currently only cater to US customers including P.O. Boxes, APO and FPO military addresses. They also ship to Canada but this is through the third party MyUS forwarding address service, so you will have to a member before ordering. In the US order processing can take up to 2 days. The courier services employed are UPS, USPS, FedEx and Purolator. Priority and Rush: Both these services come with a flat charge of $23 and $33 respectively, and the items are delivered within 3-4 days. Purolator standard (14 days- $15.99) and rush (4 days-$$24.99) delivery (For Canada): Additional charges may be applicable in the form of custom duties and taxes. The delay in delivery is beyond the control of the company. From time to time you can also get free shipping by using the appropriate Pear Tree Greetings promo code. The item you wish to return has to be shipped back within 30 days from the date of purchase, with the original invoice, slips and tags attached. Unless the product was received in a damaged condition, Pear tree is not accountable for the shipping charges that may incur. All the returned items will be processed within 3 days from the date of receipt and it can take up to 5 days for the refund to reflect on your account.